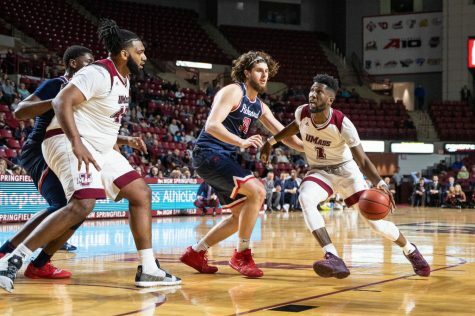 Following two straight Atlantic 10 wins and three consecutive road victories, the Massachusetts men’s basketball team will look to continue hitting its stride when it takes on conference foe Saint Louis on the road Wednesday. 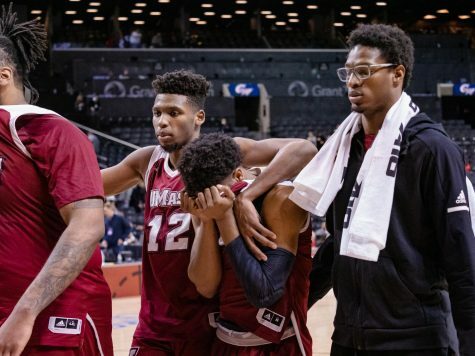 After travel issues in their last road trip, the Minutemen (13-7, 5-2 A-10) departed from Amherst on Monday for Saint Louis to beat the impending snow storm. 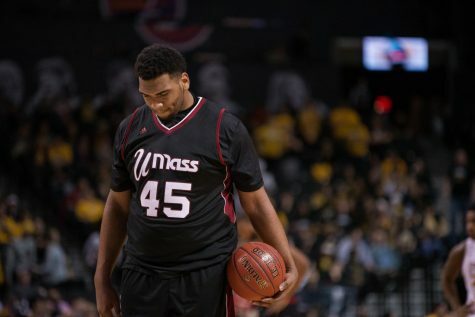 On Sunday against Rhode Island, UMass scored 39 points in the second half to defeat the Rams, 64-54. Senior guard Anthony Gurley led the Minutemen with 21 points and four 3-points, including several pivotal shots. 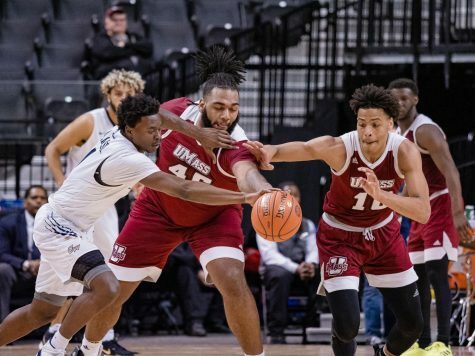 Currently, UMass is tied for third in the A-10 with Temple and Richmond behind Duquesne and Xavier, who are both unbeaten with 7-0 records. 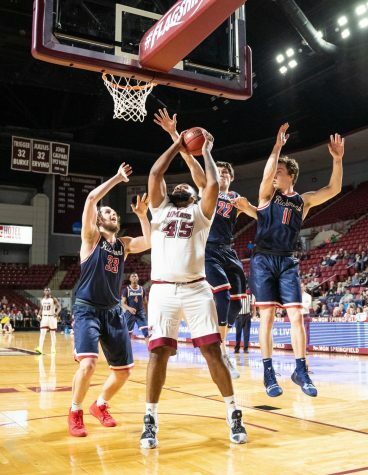 Against the Billikens (7-13, 2-5 A-10), however, the Minutemen trail the series 6-3 and have not picked up a victory at Saint Louis since joining the conference in 2005-06. 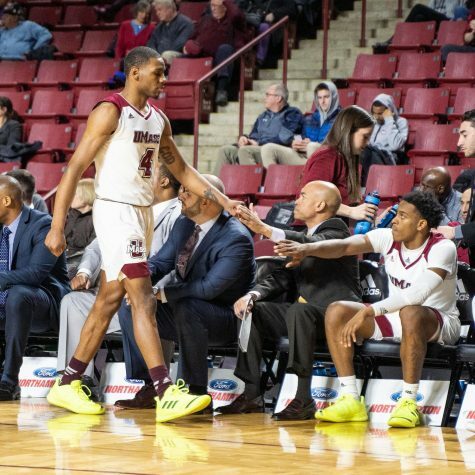 The last victory for UMass against the Billikens came in 2008 at the Mullins Center. Five Minutemen players scored double-figures, including Dante Milligan who scored 21 in the 88-77 victory. 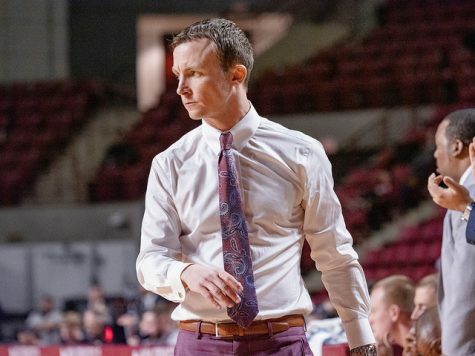 Since UMass coach Derek Kellogg has been at the helm though, the Minutemen have dropped both matchups in his two years with the program. “I haven’t had much success in my coaching days against Saint Louis, so we’re going to try to reverse the tide and come away with a [win] against a team that’s very hard to prepare for and play against,” Kellogg said on his weekly radio show. Saint Louis enters Wednesday having dropped its last two contests against George Washington and Rhode Island. The Billikens have had a difficult season which included a six-game losing stretch, including three against A-10 opponents. Nevertheless, Kellogg realizes that his team is in store for a physical matchup against a stout defensive squad. 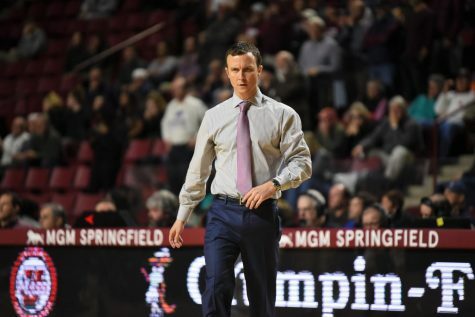 The Minutemen will expect a low-scoring, grind-it-out type of game against a team which ranks both last in the A-10 in scoring offense at 60.8 points per game and second-best in scoring defense at 61.7 ppg. Saint Louis’ best chance of winning is reliant upon holding opponents to low-scoring games with no player on its roster averaging double figures scoring. Junior guard Kyle Cassity leads the Billikens with 9.8 points per game while distributing a team-high 64 assists this season. 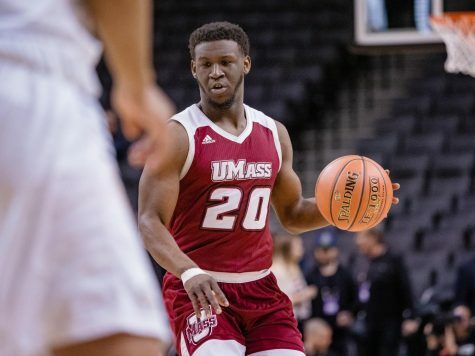 While UMass would typically be fully prepared to face a physical opponent, the unfamiliar Sunday afternoon matchup against URI threw a changeup in the preparation for the Minutemen. Kellogg said that the team would usually be given a day off on Sunday and go hard in practice on Monday, but this week was different in that the players had more of mental practice after playing the Rams. Maturation has been a point of emphasis for Kellogg recently and his players have seemed to respond, winnings games while dealing with adversity. 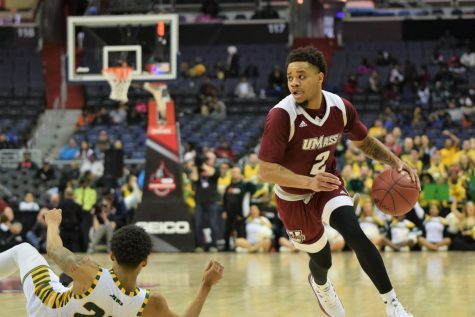 Wednesday will be another test as UMass makes its run to the postseason. The game will tip-off at 8:00 p.m. at the Chafeitz Center.